Experience “the fiery life of Divine Wisdom” through the rich and varied writings of one of the most accomplished women in Christian history. 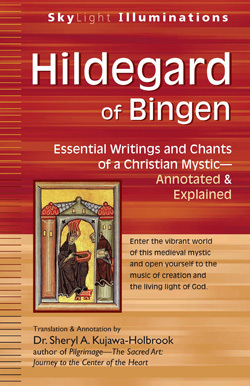 This unique introduction to Hildegard’s world and writings presents a wide range of her texts grouped by theme, providing a deeper understanding of this influential spiritual figure than can single-themed collections. Insightful and instructive annotations provide historical background and place selections within the wider context of Hildegard’s understanding of the spiritual life and the natural world.